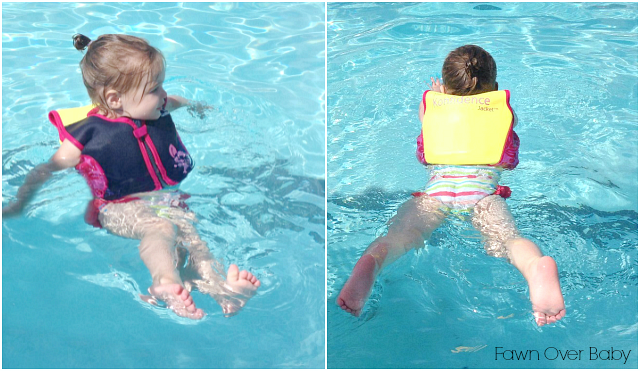 Fawn Over Baby: Konfidence Child Swimming Jacket: Review + Giveaway! 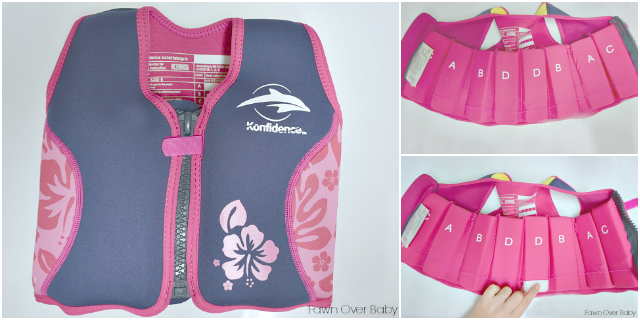 Konfidence Child Swimming Jacket: Review + Giveaway! Well it's officially summer friends!! Time for outdoor BBQs, Beach, Lake, River and/or Pool Time! I was a little nervous this year about McKenzie's take on large bodies of water. She loved it last summer, however, she was only 8 months and was nestled in a little floaty boat most of the time or I held her as we skipped through the water. This summer she's over a year and a half with new excitements and fears. I prayed that she would love water as I much as I do. I actually can't remember a summer where I wasn't at the pool all day everyday. 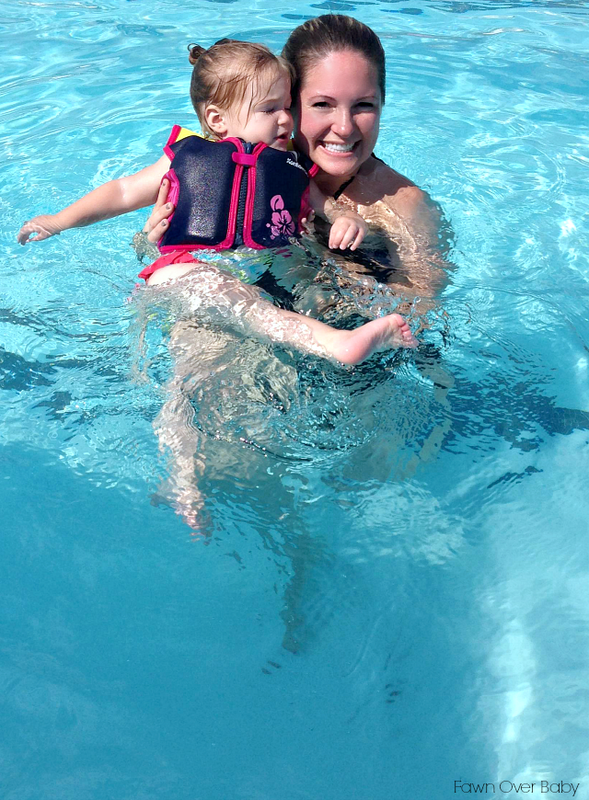 Lucky for me her first trip to the beach was a success and our pool day was an even bigger success. With our local pool having a "beach entry", Kenzie did not waste any time running right out into the pool and began splashing around. Thank goodness I put on her Konfidence Swimmer's Jacket beforehand or everyone would've heard one loud and panicked mommy as I quickly ran in with her. 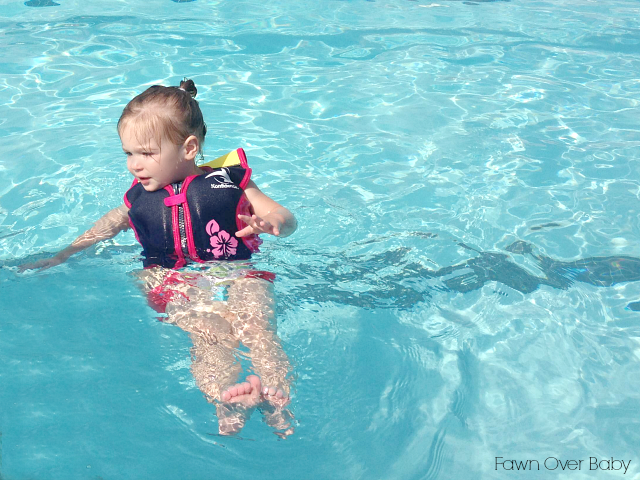 If your little loves water as much as mine does, this would be a wonderful swimming aid to add to your list of swim time must-haves. The brand Konfidence is the "leading designer of premium protective swimwear for babies and children." Along with their array of adorably designed buoyancy swimming devices, they also offer on-the-go child accessories allowing you and your little to enjoy your time in the water. Konfidence was kind enough to send us their award winning children's swimming aid - the original Konfidence Swimming Jacket. This Jacket is "constructed out of high quality durable neoprene shell with soft Lycra/Poly interior." With the wetsuit grade neoprene and design, it does not ride up causing an uncomfortable fit. It also features 8 removable floaties that allow me to adjust the buoyancy level as McKenzie's swimming skills progress. McKenzie loved having a little bit of space to enjoy the water. However, even though she does have her Konfidence Swimming Jacket on, I am right by her side at a finger tips reach. This jacket is strictly to help keep your child at the service. I cropped my arms out of the photos below as to not be a distraction. My little one is still learning the concept of holding her head out of the water when on her belly so under no circumstances will she be further than a finger tips reach away for more than a few seconds. This swimmer's jacket is designed with a Yellow back for high-visibility. It also promotes correct swimming position helping your child achieve the face forward swimming position. Since Kenzie is not at a face forward swimming level yet, I do not allow her to stay in this position very long as I stated above. As she gets older and grows to be a confident swimmer, I will allow more freedom and adjust the buoyancy level as needed. We are very happy with our Konfidence Swimming Jacket and know you will be to. 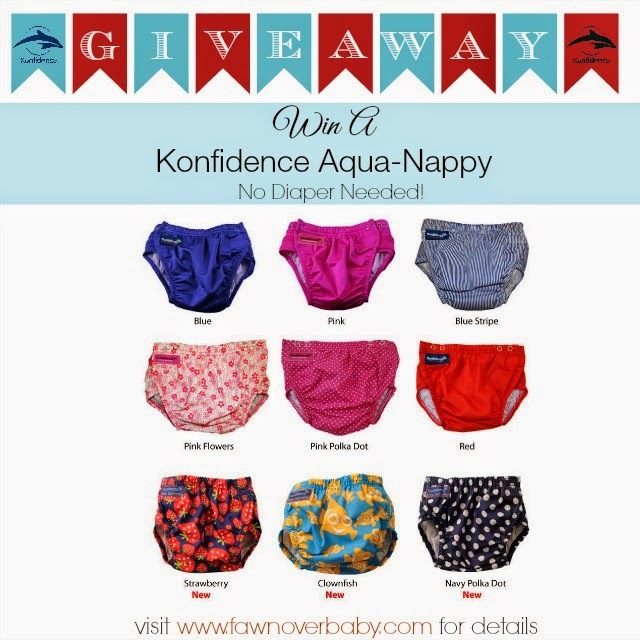 To help you get acquainted with the Konfidence brand, they are kindly offering Fawn Over Baby Readers the chance to win their award winning AquaNappy! These adorable re-usable swim diapers are the all in one solution to make sure your child is hygienically safe while spending the day at the pool! Tested and endorsed by swim schools, the AquaNappy has proved to be the most effective solution for preventing little accidents spoil all the swimming fun! 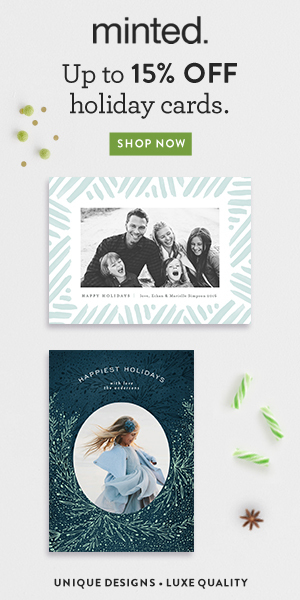 If you would like to go ahead and purchase any Konfidence product, they can be purchased at Konfidence.com or the wonderful online baby shop buy buy Baby! Winner will be chosen randomly(by rafflecopter) and announced Friday, June 27th. Feel Free to Share With Family & Friends! 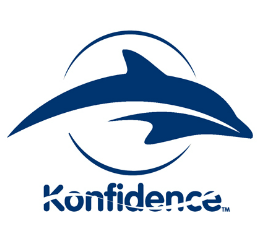 To stay up to date with the Konfidence brand and product announcements, feel free to follow Kondifence on Facebook, Twitter & YouTube. 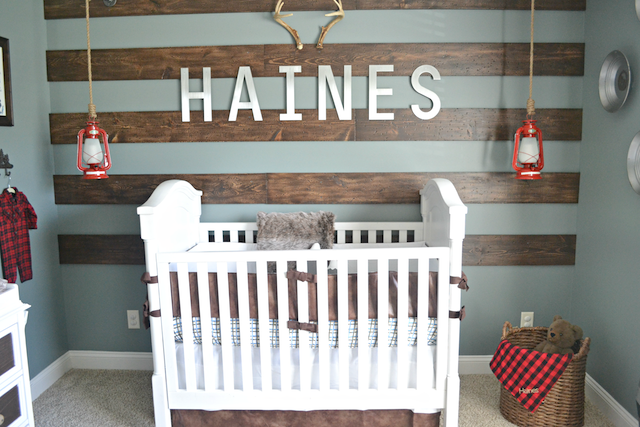 That aqua nappy is a great idea!